A few years ago, I decided to go back to Middle Tennessee State University and take the remaining few hours to complete my college degree. After attending a few semesters part-time, I needed one additional class, and I decided to complete a Maymester course. I was searching the university’s online platform and came across a Free Expression course. The class, at first really didn’t interest me, until I met Dr. Larry Burriss. Given the name, I was expecting the class to be taught by someone in a tie-dye shirt and wearing sandals. On the contrary, Dr. Burris was a tough, former lieutenant colonel in the U.S. Air Force who had served on active duty in various parts of the world — even at the Pentagon. He held a wealth of knowledge and was very experienced in the many facets of journalism, including his time serving as the former director of the School of Journalism and the dean of the College of Mass Communications. The subject matter for this course was related to the expression of free speech and the First Amendment. I had often listened to his commentary on WGNS Radio and enjoyed his insight and opinions. Needless to say, his class and lectures about the importance of the First Amendment piqued my interest. The subject of free expression encouraged me to take a few other courses. All the professors were thought provoking and very helpful. I especially enjoyed former News Channel 5 anchor Chris Clark’s broadcasting class. Just hearing the sound of his voice took me back to my younger years since he was a huge part of our evenings. During Professor Clark’s first day of class, he handed each student a small card with the First Amendment written on it. As he handed it to me, I quoted Voltaire, “I disapprove of what you say, but I will defend to the death your right to say it.” I keep his First Amendment card with me each day. Serving in and around politics for many years has resulted in an even greater appreciation for the First Amendment. However, I have personally witnessed false narratives used to attack those who a particular media outlet may disagree with or someone whose political beliefs didn’t align with theirs. Often, I have witnessed a headline that would appear to be used to shed a negative light on an elected official, and their words were twisted and taken out of context. I asked the reporter who complained and why was this newsworthy? He stated that nobody complained, but he had to cover what his producers wanted him to cover. Needless to say, I was rather surprised. Ironically, the reporter couldn’t find anyone in our community who complained so he contacted a group in Washington D.C. to get a comment. I have also seen heartbreaking stories about Ebenezer Primitive Baptist Church suffering vandalism. However, the kindness of Smyrna’s Parkway Baptist Church and others who donated to Ebenezer after this cowardly act was not reported. In my opinion, the media is more interested in generating headlines and advertising revenue than helping to find solutions. The times they are a-changin’ in the media, especially in our newspaper industry. Those particular newsrooms have been hit very hard with over 1,800 papers shutting down since 2004, and over 32,000 news personnel losing their jobs. In fact, many rural areas are becoming “news deserts” due to a lack of reporting. This week, I was proud that my General Assembly colleagues passed House Bill 899, which I sponsored. It exempts taxes for monthly periodical newspapers. The effort may be a small one that benefits some of our smaller newspapers, but it is a step that could save them a few hundred dollars each month. That cost savings could pay the salaries of reporters to cover their local school board meetings, potential solutions to issues resulting from population growth, local sports, or other important issues facing our Tennessee communities. The First Amendment should be a priority and a vital concern for all American citizens, both Republican and Democrat. However, we need our new era journalists to be fair and balanced and to report the news. It is what they signed up for when they chose their respective professions. Freedom of expression, no doubt, is the cornerstone of a free democratic society. Without it, we will suffer, and Democracy dies in the darkness. 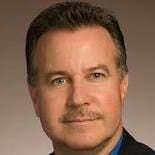 State Rep. Mike Sparks (R-Smyrna) has been serving in the state legislature since 2011.